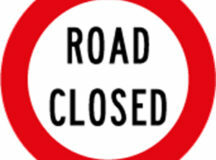 Post Tagged with: "Myrtle Beach City Council"
The City of Myrtle Beach effectively ended the possibility of any significant local funding for I-73 when it sued Horry County over Hospitality Fee collections earlier this week. The filing of the lawsuit followed weeks in which city council passed an ordinance to capture all the hospitality fee revenue collected within Myrtle Beach corporate limits, said it may be willing to fund up to $7.5 million annually for I-73, then, completed this chain of events with the lawsuit. One must possess a strong appreciation for the absurd to watch the Myrtle Beach council in action. However, Myrtle Beach only provided the endgame for what has been a bungled process from the beginning with first Horry County and later Myrtle Beach attempting to save local funding for I-73. 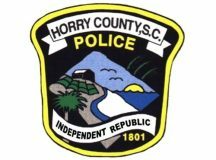 It began in April 2017 when former chairman Mark Lazarus strong-armed Horry County Council to remove the sunset provision from the 1.5% countywide hospitality tax that was funding the Ride I bonds. Each of the municipalities in the county had formally agreed to collection of this tax within their corporate boundaries until the Ride I bonds were paid off. Lazarus, assisted by county administrator Chris Eldridge and county attorney Arrigo Carotti, formulated a plan to move this funding source to I-73 when the Ride I bonds were paid off, an event that occurred in January 2019. However, none of the county trio thought to obtain formal agreement from the municipalities to support this plan. After Lazarus lost the June 2018 primary for council chairman, his days to secure the deal became numbered. In July 2018, Lazarus and his two staff cohorts worked county council to formally adopt a resolution dedicating all of the $41 million revenue from the 1.5% countywide hospitality fee collections to a special fund for I-73. Again, none of the triplets approached the municipalities for formal agreement to this plan. Nearly two years ago Horry County Council voted to remove the sunset provision on the countywide 1.5% hospitality tax that was passed 22 years ago to pay for Ride I projects, in order to provide a long term funding source for construction of Interstate 73 within the county. Two days ago, the sun set on the I-73 project when Myrtle Beach city council called BS on the county’s right to extend the tax beyond paying off Ride I bonds by unanimously passing first reading of an ordinance to keep all the hospitality tax collected within its corporate limits for its own projects. Yesterday, word began circulating around the county that North Myrtle Beach and Surfside Beach would soon mirror the Myrtle Beach initiative by voting to keep hospitality tax revenues collected within their respective jurisdictions for their own uses. Ending the county’s ability to collect a 1.5% hospitality tax countywide will force county council to immediately terminate a financial participation agreement it signed with SCDOT on December 13, 2018, to provide funding for the I-73 project. It appears county council was seriously misinformed about its ability to continue to collect a 1.5% hospitality tax ad infinitum when it voted to end the sunset provision of the original law. As a result, available county funding for important initiatives may suffer a serious setback because of the greed of a few proponents of the I-73 project and the rush in which they moved to extend county hospitality tax collections. According to state law, hospitality tax revenue must be spent primarily within the local jurisdiction in which it is collected. State law allows for local governments to impose up to a 2% hospitality tax with counties able to enact a 1% countywide hospitality tax. However, the county cannot collect more than 1% within the municipalities without permission by the municipality. Myrtle Beach City Council hosted a raucous special meeting Tuesday with home and business owners voicing their outrage at recent shooting incidents on Ocean Boulevard and in other parts of the city. It was a good move by city council, allowing the meeting to act as a pressure valve relieving some of the pent up frustration felt by citizens by having it voiced directly to council and city staff in a public forum. That frustration ran from blaming city officials for ignoring the city’s problems and threatening defeat of the four incumbent council members up for reelection in November to calling for martial law to be declared in the city. Many of the comments were rough and pointed, one citizen even asking John Rhodes if he would immediately resign as mayor. However, council took the criticism stoically because solutions are more important at this point than verbal jousting contests. While many of the comments fell short of suggesting solutions for the violence problems in the city, several were on point. Several citizens suggested using money from the one cent local option ‘tourism development fee’ (ad tax) to fund more police officers. Former Mayor Mark McBride was most forceful in this line of thinking noting that the city’s police force had not expanded since he left office at the end of 2005. To be fair, the city has installed over 800 cameras that are constantly monitored to help with public safety response and were very helpful during this past weekend’s incidents. McBride called for 50 percent, approximately $10 million, to be redirected from the Myrtle Beach Area Chamber of Commerce’s out of area advertising to funding additional police officers as well as providing raises for current officers. The City of Myrtle Beach holds a potential nuclear option that could blow up the current parking fee debate between the city and Horry County into a much bigger and more explosive issue. Nuclear options in political discussion come in various categories. One we hear about often is a threatened change in U.S. Senate rules that could effectively prohibit filibusters. However, the nuclear option that Myrtle Beach appears to hold could change taxation for many residents within the county, both inside and outside the city limits. The city and county have been at odds over parking fees and areas they are charged in Myrtle Beach city limits. Horry County Council Chairman Mark Lazarus has addressed city council on several occasions attempting to reach some type of compromise that would allow county residents to pay $100 per year for a parking decal that would allow county residents to park at all city owned paid parking locations. To date, the city has been reluctant to adopt Lazarus’ plan. Personally, I don’t believe any of the city’s parking fees are justified, especially because they go to fund the Downtown Redevelopment Corporation, a notoriously underperforming enterprise. In response to the city’s reticence, county council voted last week to not include $200,000 for the city’s planned museum/library complex and $30,000 specifically for Chapin Memorial Library in the county budget. The city requested both amounts. 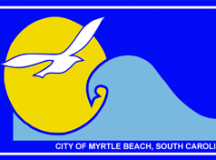 At Tuesday’s Myrtle Beach City Council meeting, council member Mary Jeffcoat requested city staff to prepare a review of the amount of property tax revenue city residents pay to the county and what services city residents receive as a result of those taxes. Horry County voters will be asked to tax themselves for another seven years for what is known as RIDE III. The referendum question will ask voters to approve an additional one-cent sales tax for seven years with the proceeds going to road projects. When the Capital Projects Sales Tax legislation was initially approved by the SC General Assembly over 20 years ago, its goal was to provide a funding mechanism for the Conway Bypass Project, or what we now call S.C. 22. A one-cent additional sales tax levied for seven years to pay for the county’s portion of the cost of construction of S.C. 22 wasn’t a bad idea. 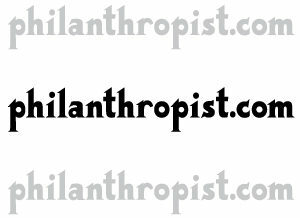 The projects now proposed are in the “nice to have”, instead of a justifiable “must have”, category. But, a tax once levied is a difficult thing to do away with and creative ways were found to extend this taxing ability to other jurisdictions. Since the initial RIDE I project constructed S.C. 22, politicians have found (manufactured?) justifications to ask voters to make this a recurring tax in Horry County. 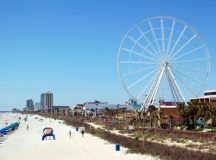 The politicians found this was such an easy sale to the voters that RIDE II was added in 2006, a one-cent sales tax for school construction was added in 2008 and the one-cent sales tax for tourism advertising was added in Myrtle Beach in 2009. Of course, the tourism tax was never subjected to a referendum by voters because that would probably have failed at the ballot box. Instead, our local legislative delegation and Myrtle Beach City Council conspired to have that tax approved by a super majority vote of city council. 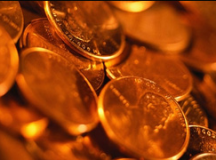 In my opinion, we have reached the point where one-cent local option sales taxes are out of control in Horry County. This is especially true in the case of the tourism tax where citizens are forced to pay increased taxes in order to reduce the marketing budgets of Myrtle Beach hoteliers and golf course owners. The parking fee issue in Myrtle Beach seems to get a little more convoluted each week. Earlier this week, a group called the Beach Coalition held a meeting at Longbeard’s in Carolina Forest to discuss issues surrounding the parking fees. Attending the meeting were county council chairman Mark Lazarus and council members Bill Howard, Jimmy Washington and Johnny Vaught. Randal Wallace from Myrtle Beach City Council was also in attendance. Members of the coalition group are unhappy with the rather cavalier manner in which Myrtle Beach city council treats issues such as parking fees. With regard to the fee itself, Lazarus said there is going to be a parking fee for county residents when they park in beach access areas. Additionally, Lazarus said the fee has to be reasonable for everybody and nobody is going to pay $300 (for a parking decal). The $300 figure was thrown out by Myrtle Beach Mayor John Rhodes at a recent forum held with citizens. Lazarus said the city and county would establish a “steering committee” to address the issue. Wallace said something had to be done about parking in beach access in the Golden Mile and surrounding areas. He seemed to blame the fee on litter finding its way to the properties of Golden Mile residents. Wallace said maybe the $10 per day parking fee now being charged to non-city residents wasn’t the best answer to the problem. He said he was sure city council wants to work with county council to address the parking fee issue. Wallace admitted to the crowd that all parking fees collected in the city go to the Downtown Redevelopment Corporation. For many years, the DRC has accomplished little in the way of redevelopment and virtually none in the city’s historic downtown in the area of City Hall, Five Points and adjacent areas. A lawsuit against the City of Myrtle Beach for its paid parking areas along the oceanfront is being considered by property owners. The basis of the lawsuit would be city violations of deed restrictions and covenants included in property transfers years ago. Deeds from 1940 and 1968 in which Myrtle Beach Farms gave oceanfront property to the city include restrictions against commercial activity on the deeded property. In the intervening years, some of that property has been converted to street ends and beach access on which the city now charges visitors to park. 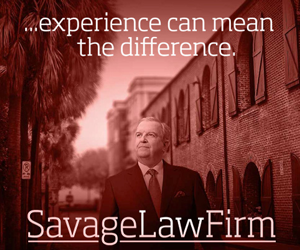 According to a real estate attorney with considerable experience in the county, the deed restrictions do not go away on the portions of the property converted to public thoroughfares. The deeds restrictions prohibit commercial activity by any “person, private corporation, municipal corporation or agency or instrumentality of government.” The land is specifically designated to be kept as a public park or common. The city appears to violate these restrictions in several ways. The parking fees and fines are collected and disbursed by a private corporation contracted by city government. The city’s portion of the revenue goes to fund the Downtown Redevelopment Corporation, an agency created by the city. The DRC is its own challenged organization, having accomplished little in the way of redevelopment and virtually none in the city’s historic downtown in the area of City Hall, Five Points and adjacent areas. The DRC has set its sights on the oceanfront and rumored major new development projects that would first require the squeezing out of small business owners currently operating along sections of Ocean Boulevard. Many have speculated that the parking fees in question will help squeeze out small business owners by limiting tourist traffic to their businesses. The SC General Assembly extended the tourism tax enabling legislation allowing for the extension of the tax on local residents and visitors through 2029. 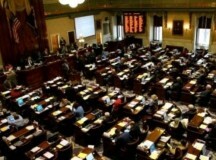 Both the SC House and SC Senate overwhelmingly overrode the veto of Gov. Nikki Haley on House Bill 5011 making the extension of the tourism tax a virtual guarantee. The very best part of the tax extension, for the business interests that want it, is that once again the tax can be imposed by a supermajority vote of Myrtle Beach City Council and the citizens will have no say in the process. There is a provision in the bill that allows for a voter referendum on the question of extending the tax, instead of a vote by city council, but that’s merely window dressing. Myrtle Beach City Council doesn’t let those kinds of decisions go to the voters and it doesn’t say no to the Myrtle Beach Area Chamber of Commerce. The Chamber will be guaranteed hundreds of millions more public tax dollars to use in “out-of-area” marketing. I wonder how much of that is being used in China? The hotel and golf course owners who control the Chamber board get to keep marketing dollars in their pocket while transferring those expenses to the taxpayer. And we can hear 10 more years of “Oh yeah, it’s working” ads. You have to give credit where it is due. This extension was slickly handled and was really never in doubt. So far, there have not even been whispers of how many, if any, sequentially numbered cashier’s checks, from those “like minded” individuals, were needed this time around to get the job done. We are told free market capitalism is a wonderful thing. 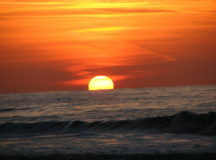 Maybe we can even experience it in Myrtle Beach, Horry County and South Carolina someday. Until then, all those “anti-tax Republicans” we supposedly send to Columbia can continue to forget their campaign promises while continuing to practice crony capitalism and corporate welfare with our tax dollars.